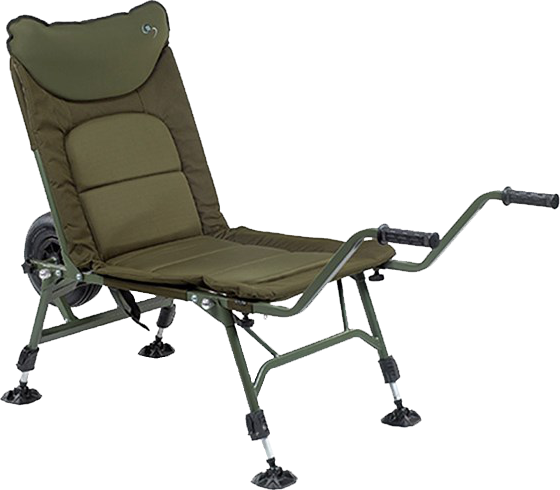 Trolley with one central wheel which a carp chair mounted on top. 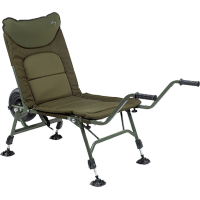 The chair can be used to transport equipment during transport and as carp chair during fishing sessions. In addition, a protective cover is included to protect the carp chair during transport of your material. Detachable handles for easy transport.